© HWANHEE RYU. All rights reserved. 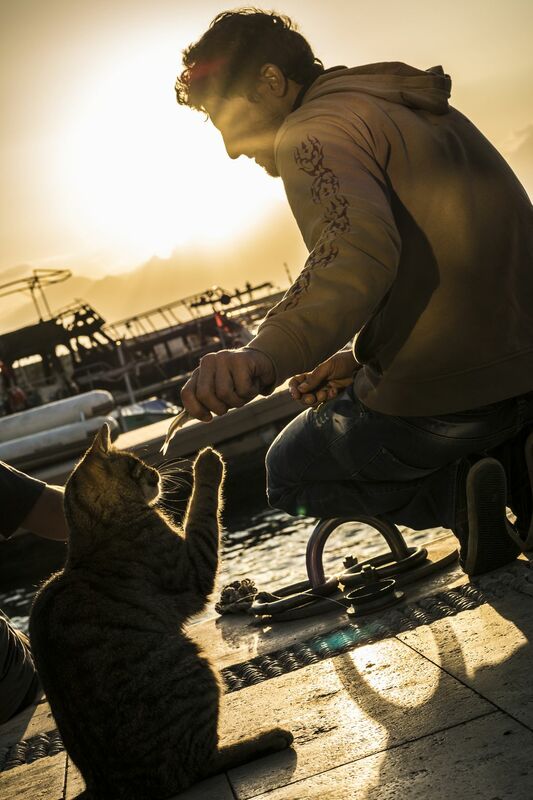 An angler giving a caught fish to a cat.